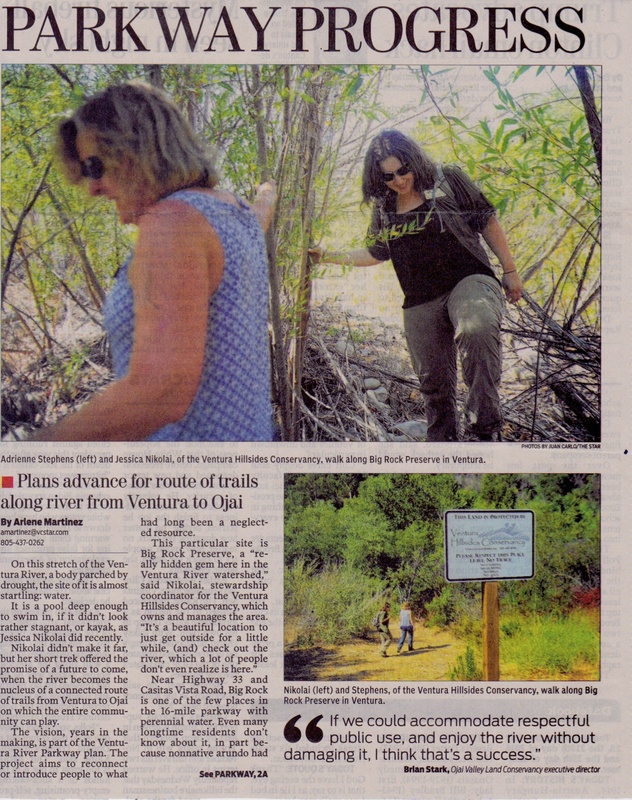 A recent news article in the Ventura County Star highlights the progress on the Ventura River Parkway. Most notably, our two land conservancies have made major headway in acquiring floodplain properties and addressing the non-native giant reed (Arundo donax) while enhancing and maintaining recreational access. Also mentioned is the interpretive kiosk at the Main Street Bridge, National Recreation Trail status, pending mile marker installation, and recent progress on Matilija Dam. 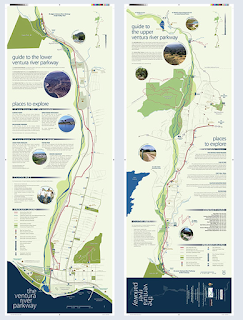 The Friends of the Ventura River coalition has collectively made significant headway in recent years, and a key piece of our outreach has been the distribution of over 7,500 Ventura River Parkway Guide maps. We just printed another run of these maps, which are once again available at the Patagonia retail store, Ventura Visitors Center, Real Cheap Sports, Open Air Bikes, The Ventura Bike Depot, the City of Ventura Parks & Recreation department, the Ojai Visitors Center and the Mob Shop! This printing was made possible through sponsorships from Patagonia, The Ventura Visitors Bureau and BioResource Consultants in Ojai.